Best 100 – Travel to Europe's most beautiful, unique, scenic and off-the-beaten path places. Surely one of the quaintest and most quintessentially English towns in all of England is Bath. 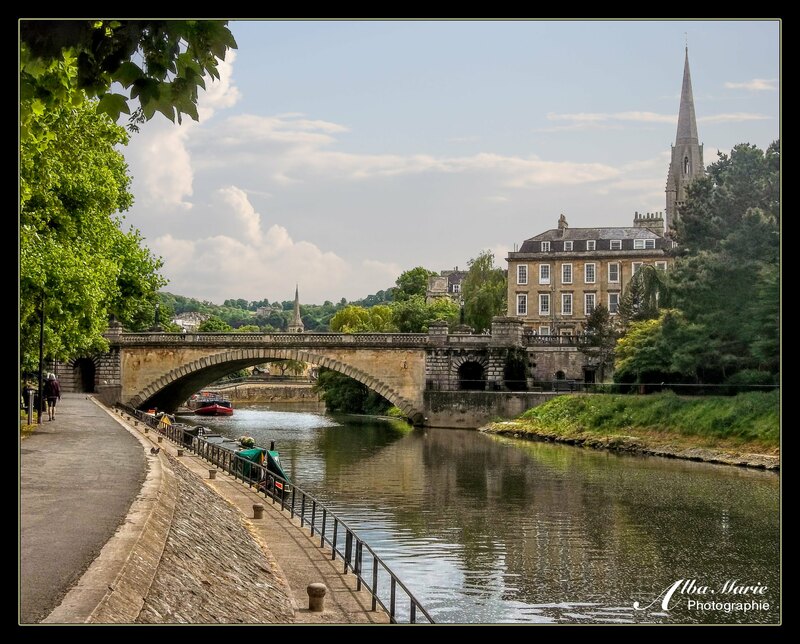 The tranquil waters of the River Avon winds through the city, a labyrinth of limestone facades constructed with a local stone called Bath Limestone, with the canal on the other side of Bath. Houseboats lap quietly against their moorings, ducks splash on the lush green backs. Church steeples – like St John’s Church steeple – rise dramatically against a cloudy sky. Forming the southern entrance to the Cotswolds region, Bath is recognised as one of England’s most picturesque places. Lined with rows of proud Georgian houses centred around the impressive Bath Abbey and the ancient Roman baths that lend themselves to the city’s name, Bath seems like a time capsule that has captured the Roman era, medieval times and Georgian England. It feels almost as if we were stepping out of a Jane Austen novel – which in a way is true. Jane Austen lived here from 1801 – 1806, and set some of her novels here (though it is known that she disliked the high society of 19th century Bath). Jane Austen may have found fault with Bath, but to the modern day visitor, Bath is the perfect picture of England! (It also makes for a good jumping off point to explore the Cotswolds region…). Pro tip: The recently-renovated Holburn Museum of Art is a lovely little art museum showcasing local painting. 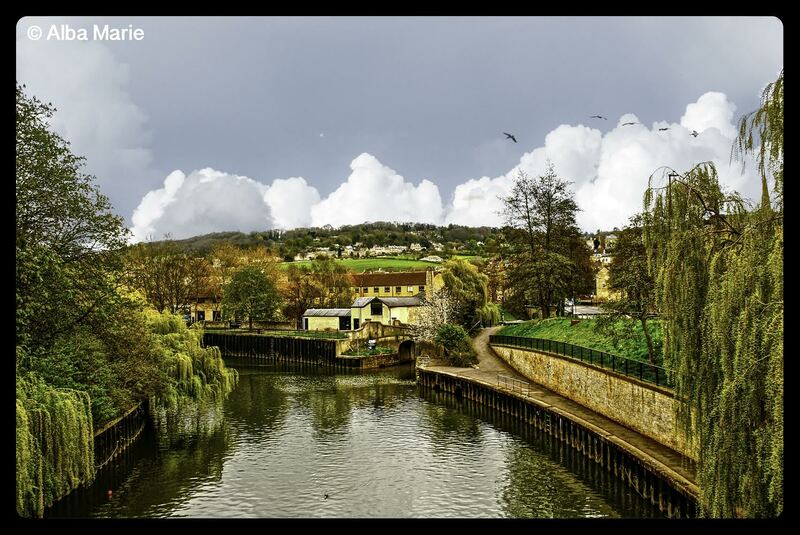 Runners (or walkers) might enjoy a walk along the Kennet & Avon canal – start from Bath and walk the 10 miles along the lovely and tranquil canal path to the lovely Cotswolds town of Bradford-on-Avon (well worth a visit!) and return to Bath via the local train. Another great walk will take you up the hill to Sham Castle. Also nearby is Bristol (also the local airport), a quirky artsy town. Amidst Brexit shenanigans, London remains both irrevocably changed as well as the same wonderful place it has always been. One thing that London does so well – and so much better than any other city in Europe – is perfectly blend the old and the new. No where else can the Globe, the Tate Modern, the Millennium Bridge and St Paul’s Cathedral sit together in perfect harmony on two sides of the mighty Thames River and seem to complement each other so perfectly. Here London is up to its old tricks again. 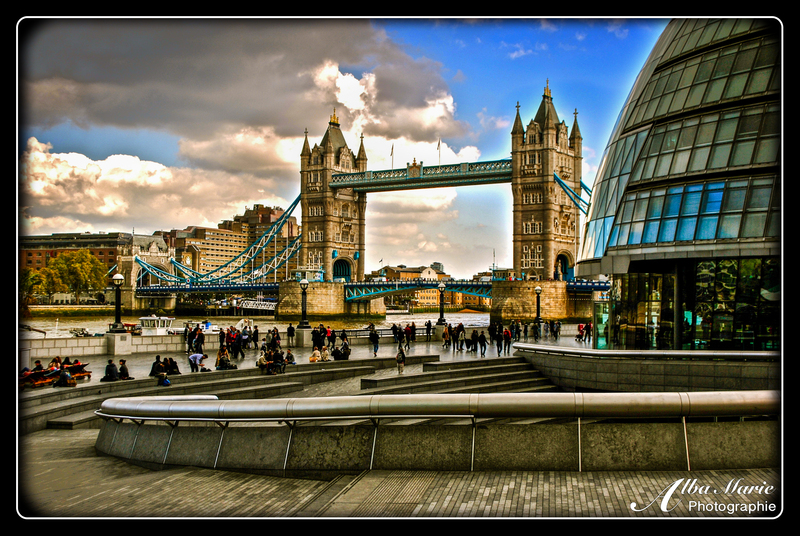 Stroll through the ultra modern architecture of City Hall and the London Riverside to admire the light and airy glass and steel manipulated into curvy and wavy lines – which contrasts steadily with the Victorian-era and icon of English historical landmarks, London’s Tower Bridge. Built in the 1890s, this dual-functioning bridge allows pedestrians and vehicle to cross while also working as a drawbridge for passing ships and barges on the Thames. London may be a massive city but the best way to explore its nooks and crannies is by picking a direction and starting to walk – no matter how many times you visit, you never know what gem you may happen to find! Pro tip: The Tower Bridge (not to be confused with London Bridge) is free to walk across but there is a fee of £9.80 to enter the towers (open 9.30 – 17.30) – once engine rooms and now exhibitions. Amongst Brexit talks and EU deals, sometimes you just want to find a little corner of Britain overlooked by the world, a place one can relax to a simpler tune. 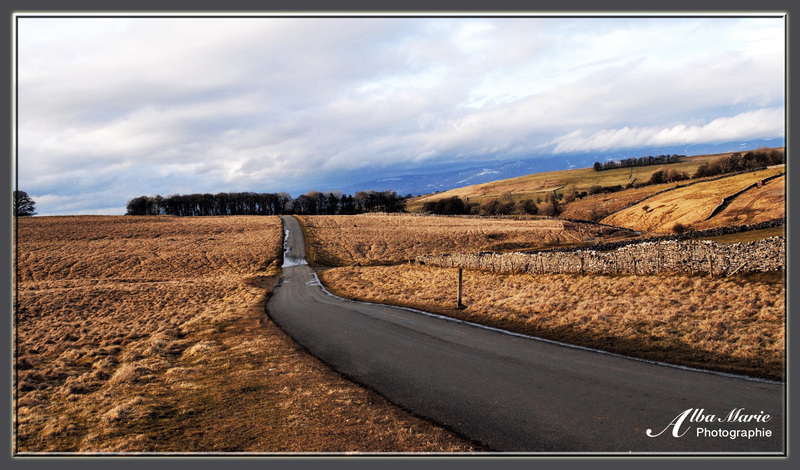 Northern England – specifically the Yorkshire Dales and Cambria – is just that place. Swaledale is a beautiful dale or valley (one of the northernmost within Yorkshire Dales National Park) in the Pennines Hills, containing some of Northern England’s most quaint villages. One such place is Muker Village which, despite its name, comes straight out of a fairytale! The quintessential stone town is the picture of 18th and 19th century rural charm. 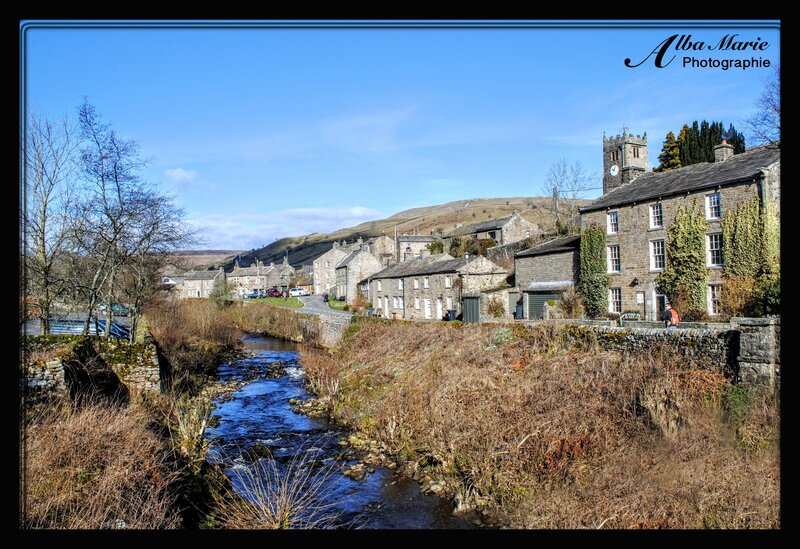 Built alongside a bustling little brook crossed by a perfect stone bridge, Muker has a quaint English parish church, an old world tea shop, a traditional pub, an old village hall, crafts and arts galleries and meandering cobbled streets closely lined with old stone houses. For all intents and purposes, it is the perfect example of an English country village. And its location in Swaledale, surrounded by the world-famous barns, drystone walls and sheep-dotted pastures, complete the painting. Mining and agriculture were once the only industries here, leaving Muker, Swaledale and Yorkshire in general in much isolation – a fate which helped keep local traditions alive. Today, Muker has finally found itself on the map now that the famous long distance hiking path, England’s Coast to Coast Trail (a 192 mile/309 km path) traverses Swaledale and Muker village (as well as three national parks: Lake District, Yorkshire Dales and North Moors). And even more excitingly, in 2014 the first stage of the Tour de France from Leeds to Harrogate passed through Muker! Pro tip: If you’re planning to hike the Coast to Coast (in entirety or even only just a section of it), you’ll get the most out of it with a local guide. Muker village to Keld Village along the River Swale is a lovely 5km (3 mile) gentle walk through one of the most beautiful dales of the region! Best to hike on the western bank of the river. One of the most striking ruins in the centre of England, Kenilworth Castle is one of the finest examples of a royal palace in the Middle Ages. Subject of the six-month long Siege of Kenilworth in 1266, believed to be the longest siege in English history, Kenilworth is perhaps most famous for its Elizabethan connection. 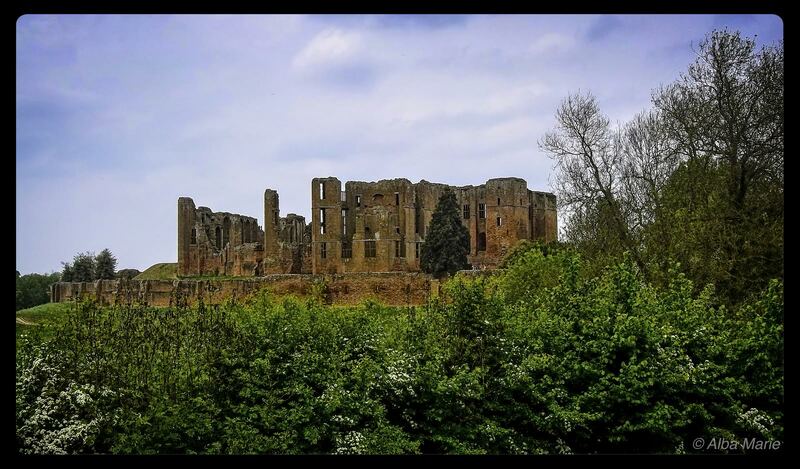 Construction on the castle began in the 1100s, but it was during the reign of Queen Elizabeth I that Kenilworth came into its stride. Owner Robert, Earl of Leicester, was deeply in love with Queen Elizabeth (or perhaps just her money and power) and spent thousands of pounds renovating and luxuriating the estate. He built a new garden simply because Elizabeth complained about the lack of a view. He entertained 31 barons and 400 staff from her court during her final (and longest ever) visit. He put on pageants, fireworks, bear-baiting, mystery plays, hunting and lavish banquets at the grand Kenilworth Castle. But sadly, she never married him, and he died in debt (did you expect a different ending to the story?). 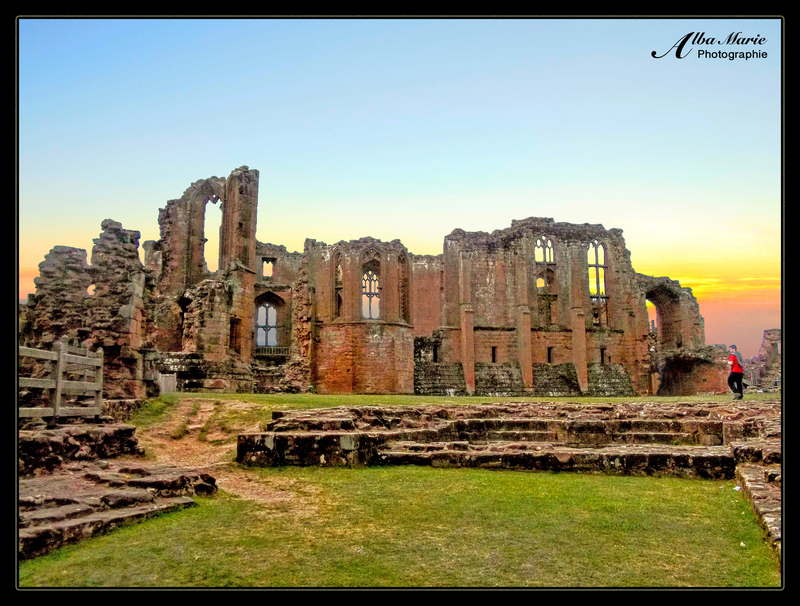 The story of Kenilworth Castle ended about as happily ever after as the romance of Robert and Elizabeth. Colonel Joseph Hawkesworth “slighted” or deliberately destroyed Kenilworth in the 17th century based on political affiliations. It was stripped, turned into a farm, and largely forgotten about until famous author and poet Sir Walter Scott wrote Kenilworth, immortalising the estate in Victorian literature. Today, the mostly-ruined castle is a popular tourist destination, having acquired a little of its former grandeur. Pro tip: Kenilworth Castle is an easy day trip from Stratford-upon-Avon. Also, for literature nerds, Sir Walter Scott is not the only author inspired by the castle – check out British-Pakistani writer Kamila Shamsie’s short story, ‘Foreboding,’ part of the collection, Eight Ghosts. This article was originally posted in 2013 and has since been revised and rewritten. Southern England’s county Somerset is a great place for exploring the quintessential English countryside dotted with farms, small towns and cathedrals and abbeys such as Wells Cathedral. In 1175, the magnificent building of Wells Cathedral was constructed (though not terminated until 1490!). 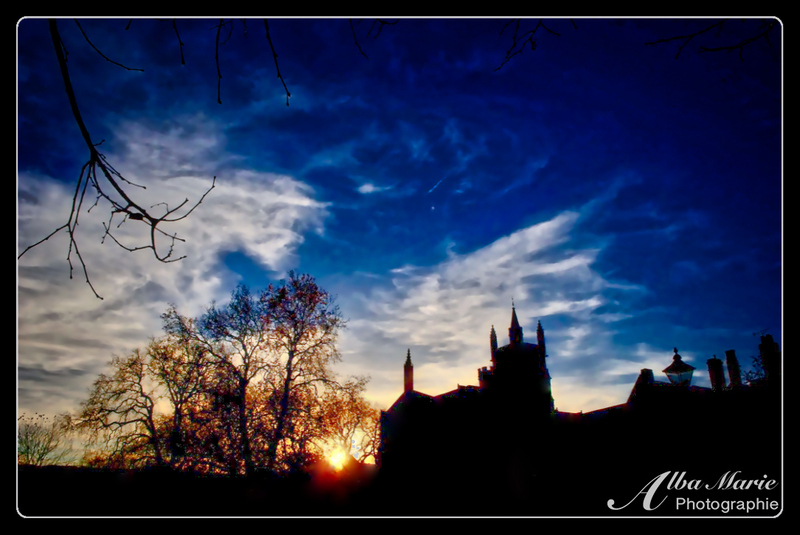 Dedicated to St Andrew, it is the seat of the Bishop of Bath and Wells, and is among the most important cathedrals in England. 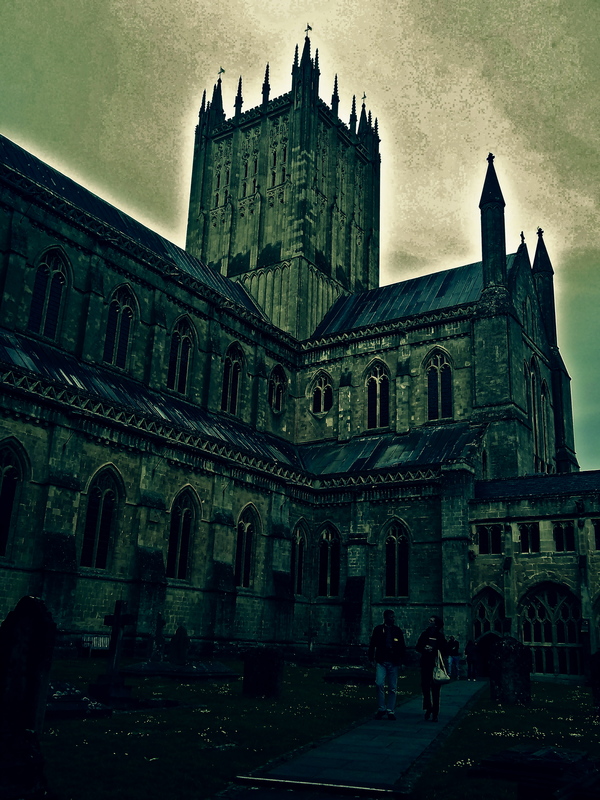 Some historians say that Wells Cathedral is actually the first truly Gothic building in all of Europe – quite an impressive achievement, and enough to draw amateur historians and architecture nerds in from near and afar. On the grounds of Wells Cathedral, besides the beautiful cathedral, find also the Bishop’s Palace, a series of stunning gardens and the 15th century Vicars’ Close. Wells is a relatively small town in the rural county of Somerset, and so Wells Cathedral is not far from the lush green English countryside. Pro tip: Wells is a great day trip from either Bath or Bristol (1 hour). From Salisbury, home to another famous cathedral, Wells is about 1h30. Wells can easily be combined with Glastonbury, a place recognised for its music festival and Arthurian legends, just 15 minutes away. This post originally appeared in 2013 but has since been revised and rewritten. 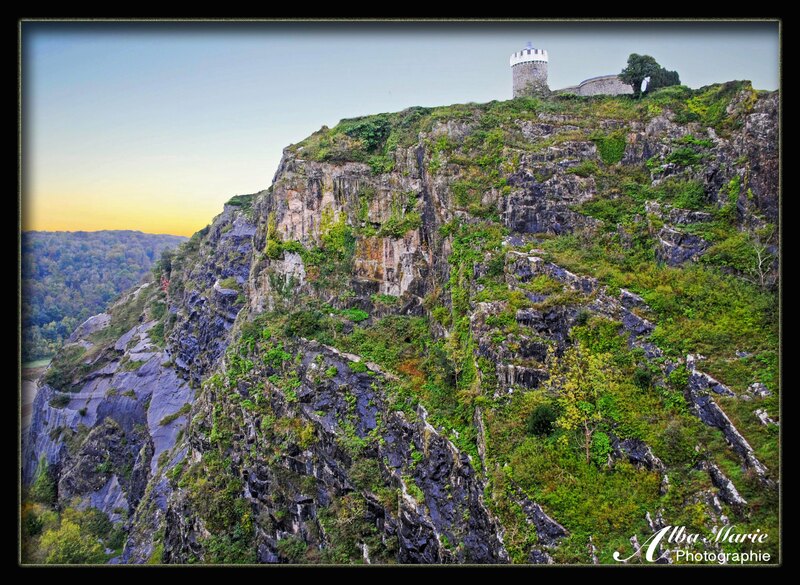 Starting life in 1766 as a corn and then snuff mill, the Clifton Observatory clings to the edges of the steep ribboned slopes of the Avon Gorge. Sliding into the muddy River Avon (itself quickly emptying into the massive Bristol Canal separating England and Wales, the Avon Gorge streaks through a limestone ridge about 3 miles from the mouth of the river at Avonmouth. The Observatory is not alone in its defence of the Avon Gorge; alongside it, there are the ancient remains of no less than three Iron Age forts. Clifton Observatory was nearly gutted by fire in the 1770s; later left to fall into ruin. The building was only saved in 1828 when artist William West rented the picturesque site as a studio. It was West who installed the famed camera obscura as well as a set of telescopes, together used to detail the Avon Gorge and the lush Leigh Woods that adorn the opposite bank. Even more fascinatingly, West also spent two years carving out a 200 foot long tunnel from the Observatory to St Vincent’s Cave (also known as the Giants’ Cave due to a myth claiming it was once home to giants called Goram and Ghyston), suspending visitors some 250ft above the valley floor and offering fantastic panoramas of the gorge. Although once associated with the ancient chapel of St. Vincent, before the tunnel was built, the only access was from below – the route Lake Poet Robert Southey took in his whimsical descriptions of the place in the 18th century. Whether you visit the camera obscura and the cave or just take a turn about Clifton Down and admire the views from above, it is certainly one of Bristol’s best kept secret gems. Pro tip: £4 gets you into the Observatory. Get some air in the beautiful Leigh Woods Reserve (maintained by the National Trust) on the opposite side of the Gorge. On the way back, wander through the quaint streets of quirky Clifton, perhaps stopping for delicious Italian at Bosco’s pizzeria. Pro tip: Platform 9¾ is popular with tourists so try to avoid peak times if you want a photo! Also, the British National Library is just around the corner if you’re feeling bookish. It’s no Hogwarts, but still beautiful! Remote, desolate, hauntingly beautiful. The Yorkshire Dales, a protected area and national park in northern England, is a rural place overlooked by modern times. Rambling hills, winding lanes and picturesque villages, the Yorkshire Dales are picture of what England once was before the industrial revolution, mining, suburban sprawl, and Brexit. The Yorkshire Dales are an upland region part of the lovely Pennines – a set of rugged hills and mountains crawling down the centre of England, nicknamed England’s Backbone. The best way to explore the Yorkshire Dales National Park is on foot (or by bike) as to really understand the land, you have to connect with it – walk through the boggy, wet, snowy landscapes, cross paths with woolly sheep, stumble across ancient sites and tuck in at a cosy village pub at the end of your walk. There a plenty of places to hike in the Penines. Check out a few of them here, or strike off the beaten path to discover the wonders of the Yorkshire Dales. The region’s wandering hills, trickling streams, ancient sites, limestone caves, forlorn moors, sweeping vistas and quaint villages will make you fall in love with this desolate but romantic place in a heartbeat. Pro Tip: The UK’s ‘rights of way’ law allows all hikers and hillwalkers to traverse any private land anywhere in the country, providing you leave no trace and respect the livestock and property. So get your hiking boots on and get walking! One of the creepiest places in London, Highgate Cemetery is old and dark, overflowing with cracked, crooked tombstones grinning like jagged teeth and fanned with thick overgrown grass. Scattered amongst the stones are statues and stone caskets marking out the wealthier dead – even in death, social classes are made apparent. West Highgate is older, full of cracked tombstones hidden under heavy trees and dark bushes, while East Highgate (across the road) is newer, orderly, and home to the famous Karl Marx tomb (an enormous stone bust). 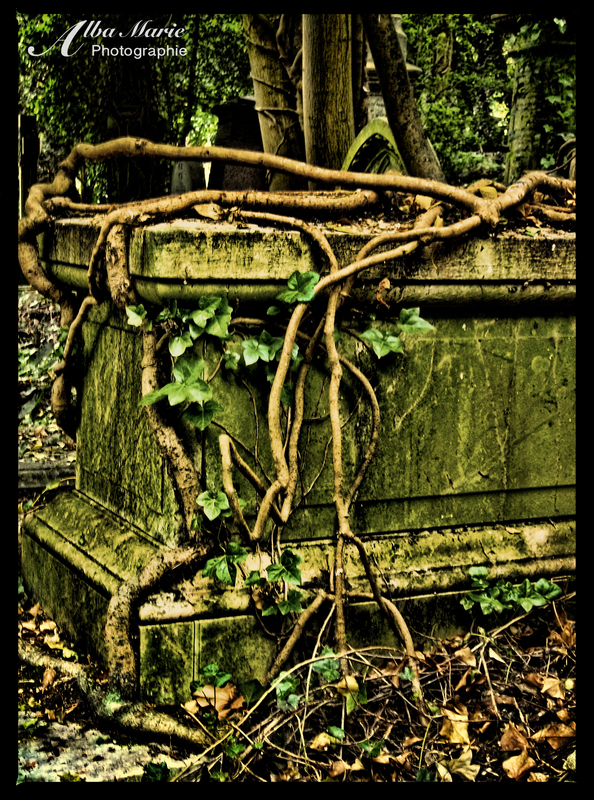 In the overgrown Victorian West Cemetery, vicious vines grasp forgotten tombs, determined to pull their sepulchres underground, their owners’ names sanded away by centuries’ worth of wind. Highgate Cemetery was born in 1839 alongside seven other cemeteries, built to release the pressure of overcrowded intercity (and sometimes illegal) cemeteries. The dark Victorian path twists through overgrown rows of grey stones and wailing angels, leading to the obelisks of Egyptian Avenue (Victorian interest in Egypt had been piqued by Napoleon). Following that is the Circle of Lebanon, crowned with a massive ancient cedar tree older than the cemetery itself, circled by tombs seemingly revering it. Finally, the brave visitor will pass through dark, vaulted catacombs where warmth and light seem devoid. It is said that this creepy endroit inspired Bram Stoker while writing Dracula (particularly the scene at the graveyard with the undead new vampire Lucy Westenra). While this is not proven (experts suggest the mythical graveyard might’ve been St Mary’s Churchyard), there is certainly no denying the eeriness of this fiercely Victorian Gothic graveyard in north London. Get ready for goosebumps while wandering this dark and wild place where the din of London and the 21st century seem leagues away. Pro tip: The more modern east section can be visited by all, but the most overgrown and Victorian west side is by guided tour only. It’s well worth it! 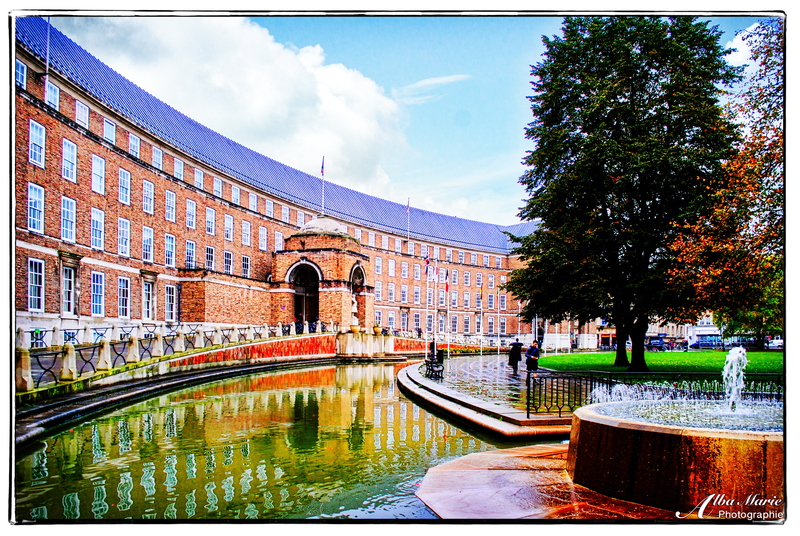 Though designed just before WWII, Bristol’s crescent-shaped City Hall wasn’t built until after the war’s end. Situated in a prominent place in Bristol, the secular City Hall faces the massive and gorgeous Bristol Cathedral, Bristol Central Library and the College Green, the building is a classic example of the Neo-Georgian style except for one glaring oddity: both of the turreted ends to the building are topped with an unusual statue – a unicorn! (Not so very different than the Dragons of London!) If you look carefully, Bristol functions like an “I Spy” book (“I spy 12 unicorns…”) – they are everywhere! On St. John the Baptist Church, the SS Great Britain ship, on the Royal West of England Academy, at the entrance of the Bristol Museum and Art Gallery, on the North Bristol Rugby Club tie and blazer, and until 2004 they were on the logo of the renowned University of Bristol. They are even part of the city’s coat of arms! Why, you may ask? To solve the mystery, we need to delve back in time to 16th century Bristol, when the city’s leaders chose to include two unicorns on the official seal which was then stamped on important city documents scattered across Bristol – therefore imprinting the unicorn forevermore into Bristol history. As for the mystery of the City Hall Unicorns, architect Vincent Harris actually secretly commissioned the two three-foot-high bronze unicorns without informing the council, put them up and hoped for the best! They’re still there, so we can assume that the council accepted their city hall’s impromptu mascot! The infamous Tower of London. It has a reputation for horror – death – torture. While not 100% wrong, this was the view propagated in the 16th century (did you know that only seven people were executed at the Tower of London up until the 20th century?) In fact, most executions instead took place on Tower Hill, and even then, just 112 people were executed over 400 years, a number far lower than we’d expect considering the harsh laws during the time. The dark threat of being ‘sent to the tower’ doesn’t come from Medieval times at all, but rather the 16th/17th centuries where darkness had to be hidden under the surface of polite society – so the Tower became a popular place to send unwanted royals or nobles. At one time a royal residence, a palace, a prison, a menagerie, a royal mint, a treasury and a fortified vault for the Crown Jewels, today’s Tower of London is one of London‘s top tourism destinations, and the most visited castle (not including palaces, which are quite different) in Europe – nearly 3 million visitors cross its threshold every year. The Tower’s oldest section, the White Tower, dates back 1078; other expansions date largely to the early Middle Ages, including exertions by Richard the Lionheart, Henry III, and Edward I. 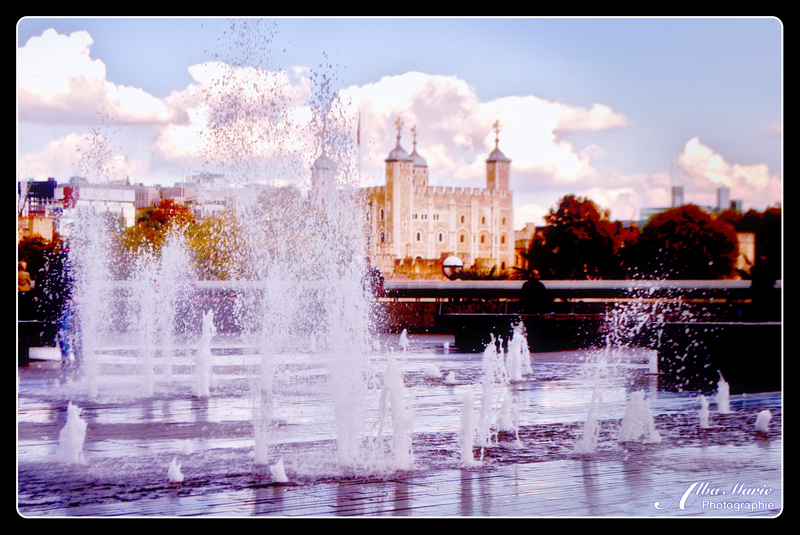 All of this combined makes the Tower of London one of the UK‘s most impressive cultural heritage sites, and for this, it has been recognised by UNESCO. Due to the vast amount of visitors, it is hard to properly visit the Tower of London – best advice is to avoid school holidays and visit in the low season (late September just after school starts but before holidays begin or in the dark days of winter in January or February). Though it can never entirely escape its dark past, it may not be as dark as you thought. 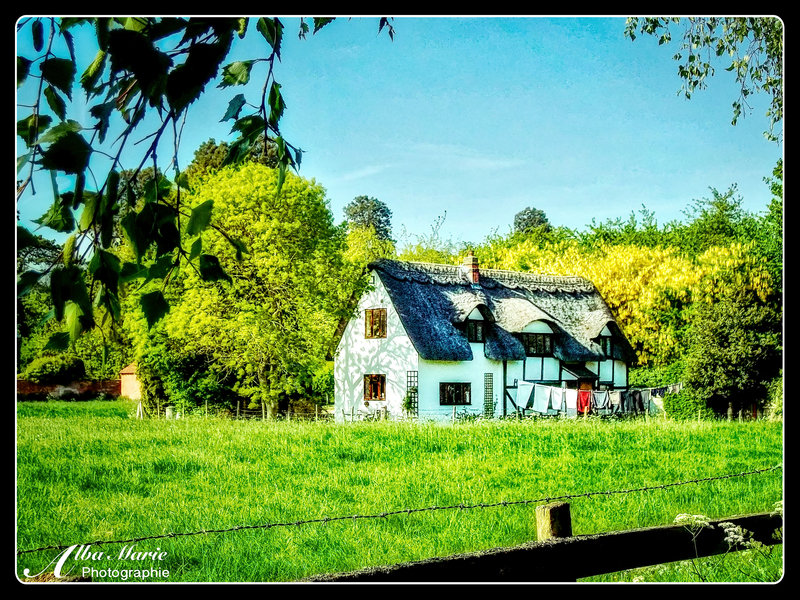 It’s washing day in this quintessential English thatched cottage lost in the English woodland. The air is steeped with the smell of soap and fresh laundry, hung outside to dry outside this cottage on this sunny English day, making you feel as though you’ve fallen into a fairy tale. This magnificent thatched cottage stands in a quiet meadow in the English countryside not far from the quaint but bustling town of Stratford-upon-Avon. Best known for being the birthplace of the great writer William Shakespeare (who did wonders for the English language, by the way; we still use words and phrases coined by him), Stratford-upon-Avon is crossed with medieval streets lined with Tudor houses and never-ending shops, spires of ancient churches and tolling church bells. Avoid the crowds by instead meandering through the brilliant English countryside where you’ll stumble across quiet pastures and thatched cottages. Thatch, once a common roofing material, is rare today, owing to the amount of maintenance required (you must replace it every few years), the overabundance of other roofing materials and the fact that it’s a significant fire hazard. Here though, you’ve stepped straight into a fairy tale. There is something very magical about this cottage in this place – as if fairies or forest nymphs or singing maidens may tumble off the pages of a storybook and come to life here. In this place, wandering these quiet countryside lanes outside of Stratford-upon-Avon, you can see where Shakespeare took his inspiration. Alone on the path by the cottage, you may even expect to meet one of Shakespeare’s colourful characters along the way. A cold, dark evening in December in 1952, an old-fashioned double-decker bus #78 was following its route across the Tower Bridge towards Dulwich when the gateman in charge of raising and lowering the bridge failed to perceive the iconic red vehicle. He gave the all clear started to raise the bridge. The bus’ driver, one Albert Gunter, was forced to make one of those split-second, life-or-death decisions we all hope never to make – and hit the gas pedal. His bus shot forward, and the propulsion carried his double-decker bus Knightbus-style over the dark, empty expanse of the Thames far below his wheels, jumping a gap of 3 feet, onto the safety of the other side 6 feet below him, which had not yet began to rise. No one was seriously hurt, and the bus landed upright. His reward for his bravery? 10 quid from London Transport (and £35 from the City of London). Even converted to 2016 standards, that seems a little low, don’t you think!? An added bonus to the story was that one of the passengers was so scared to get back into a bus that she would only ride in Gunter’s bus, who she later asked to be her best man at her wedding! In any case, despite this incident and a few others (including an RAF man who flew a plane through below the upper walkway, and a man dressed as Spiderman who scaled a tower to dangle 100 feet in the air), the bridge remains one of London’s most beloved places, a erstwhile icon of London. Millions visit every year to photograph and traverse the famed overpass, and while there’s not much chance you’ll fly through the air like the 20 passengers on the night of Dec. 30th, the memory of your visit to the Tower Bridge will stay with you long afterwards. How would you like to have a pair of dragons guarding the limits of your town? Well, that’s exactly what’s going on in the City of London (the very central part of the capital). London decided to mark the boundary of the City of London with several 6-7 foot tall dragon statues. Originally modeled on dragons perched atop the London Coal Exchange, this mighty beast is one of the two original statues from the Coal Exchange, relocated to Victoria Embankment in the mid 20th century. Dragons, like lions, have a long history of guarding things (places, families, riches, businesses, etc) from would-be invaders. As mystical beings (not to mention big and scary), dragons have the added bonus of absolute mysteriousness, to be designed according to the vision of the creator in whatever likeness suits him best. Covered in scales, of enormous stature, and able to walk, fly, and breathe fire, it’s not hard to imagine why someone would chose this beast as their guardian and alley. Whether real or not, keep your eyes open and you might see more dragons around you than you ever realised or suspected! As mentioned before, Winchester was once the capital of England (or at least Wessex, established and ruled by the West Saxons). Though once a great fort and regal seat of power, the Winchester of today is very different. In fact, today’s Winchester is so quaint and charming that one forgets that it was once home to England’s early kings. One of the best things about all English cities is, well, the pubs. A pub, or public house, is a “house” that is licensed to sell alcohol to the general public. Pubs can be traced back to Roman taverns & inns, which organised the sale of ale to the public. Even after the Romans left, the Anglo-Saxons continued to establish regulated alehouses, usually in private homes that quickly became the focal point of the community for spreading news, gossiping, or simply meeting up with other villagers, and are often found conjoined with hotels or inns. These gave way to official (by decree) public houses, which in turn led to today’s pub. Pubs are largely distinguished from other drinking establishments for their focus on ale as the primary beverage. Today, pubs are simply decorated, with a loud, lively atmosphere. There’s usually a match on, or else there’s a pub quiz. Service is at the bar, nearly all menus are predictable (often even called ‘pub food’) and the alcohol on tap is a variety of ales. Best of all, it is in many ways the heart and soul of England. Before London was London, England (well, technically Wessex, an ancient kingdom in southern England) was ruled from Winchester. It’s hard to imagine that this cheery, quaint town in southern England was once a major seat of power – but then again, history loves to throw us curve balls (like the fact that Brits were once ruled by Vikings, Russia was still a feudal state until well in the 18th century, Italy wasn’t Italy until the 19th century, and there are still parts of Spain where Spanish is not the most widely spoken language, etc). Originally the Roman city of Venta Belgarum, it became known in 648 as Wintan-ceastre (‘Fort Venta’ in Old English). And by the way – about the Vikings, we owe them the present layout of Winchester; good ol’ Alfred the Great rebuilt Winchester during the 9th century in order to create a better defense against the Viking invaders. 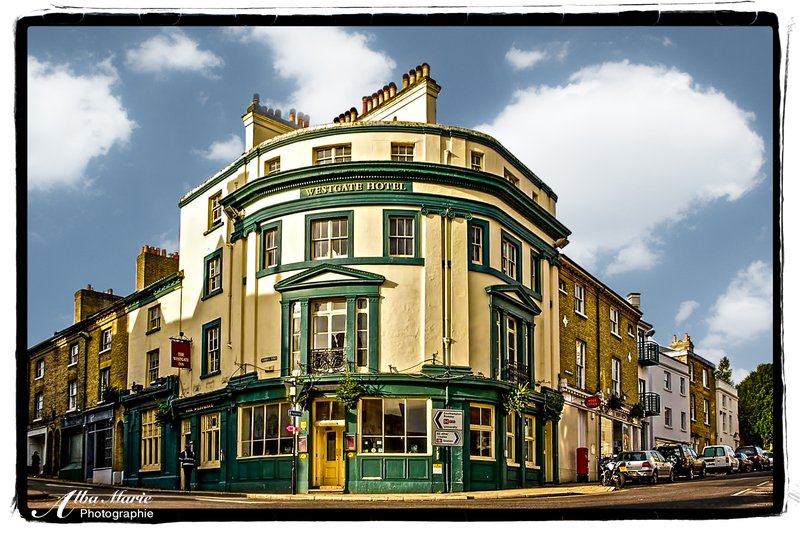 Today, Winchester is a quaint city full of lively pubs and historic streets, and makes a great point of entry to visit the even older and more mysterious New Forest. Happy New Year everyone! Yes, this little guy is a wild pony, well-fed by the New Forest’s robust undergrowth. The New Forest, located in southern England near Winchester, the ancient capital of England, is what remains today of a once-majestic great wood. It was once the King’s Wood (or Kingswood), a forest set aside for the king’s enormous hunting parties, started sometime after 1066 by our old friend, William the Conqueror. The Forest continued to be inhabited by simple folk who could–and can–trace their lineage centuries back. Many of them kept ponies (for work), though they let them roam free, which is how the Forest came to be inhabited by these furry, hardy creatures. Despite world events, the New Forest has changed very little in the last 1000 years. 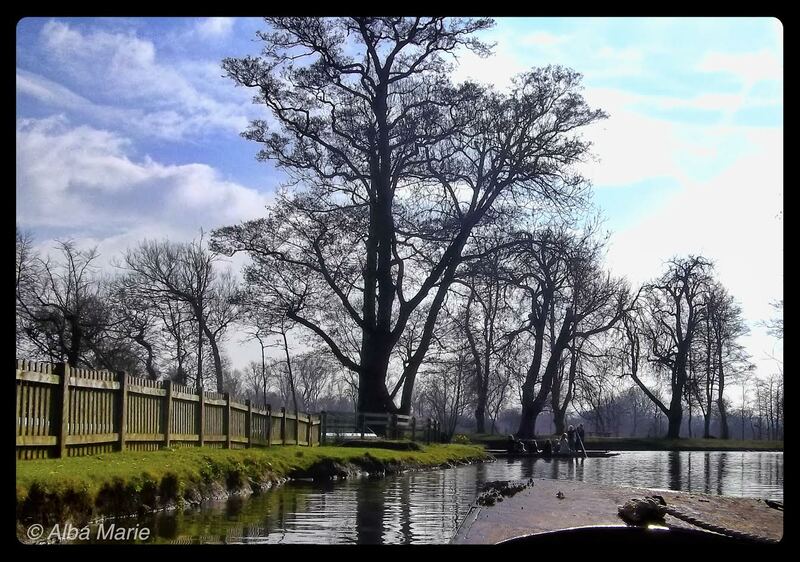 Ancient trees still loom together, looking over muddy fields, quiet lakes and thatched roofs. One still sees the same names on doors, such as Furzey, an old local name. One still sees remnants of its Norman beginnings, such as the village of Beaulieu (though today pronounced “Byoow-lee” by locals). Old, dark spires rise up along modern roads built on top of ancient paths. But for the full effect of the New Forest, one must leave the car behind and trek into nature. One cannot fully appreciate the New Forest until one has mud on one’s shoes, rain in one’s coat, leaves in one’s hair, a pony in one’s sight. It is an old, magical place, this misnomer, the very old New Forest. *If interested in the New Forest, check out Edward Rutherford’s intriguing and epic tale of the place, simply called “The Forest,” spanning nearly 1000 years of history of the Forest, told through tales about the inhabitants over the centuries. England is a lovely place; Bath is even lovelier. Ancient Roman baths, Gothic abbeys, picturesque canals, charming cobblestones, green parks. 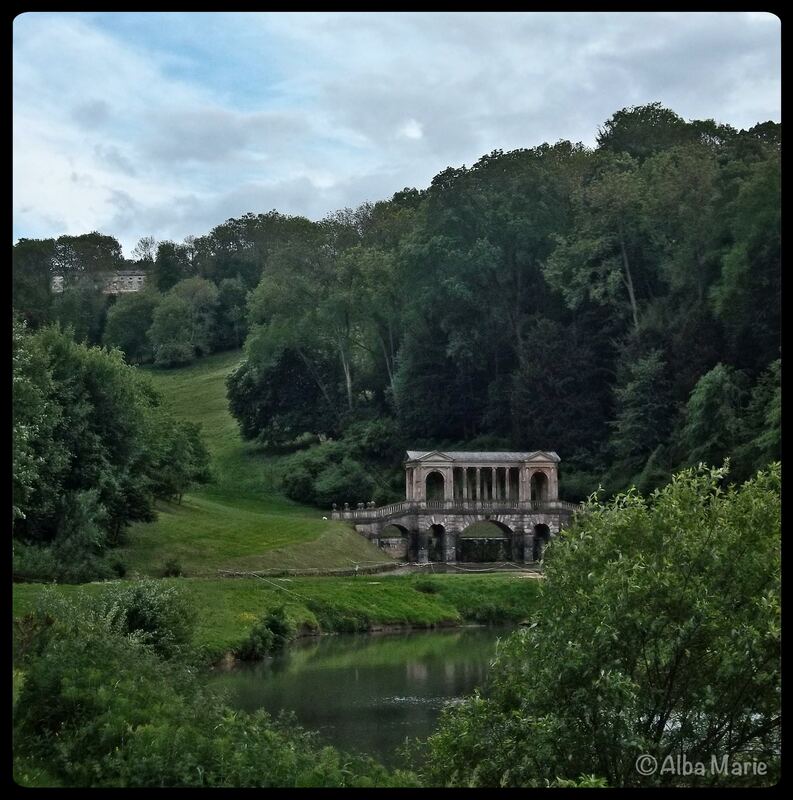 Meandering forest trails take you through the grounds of Prior Park and its Palladian house built in the mid-1700s as a way of displaying the use of Bath limestone as a potential building material. The house, as well as this bridge nestled deep into the park’s hillsides, was built following the 16th-century Italian architect Andrea Palladio, whose style briefly became popular in the UK during the mid 17th- through 18th-century before being cut short by the Civil War. Palladio valued lines, symmetry and perspective. Inspired by the Greeks and Romans, he derived a style that adapted the symmetry of Roman temples and palaces to a more modern manor house. Today owned by the Prior Park College and the National Trust, Prior Park is one of Bath’s hidden gems and well worth the countryside stroll! 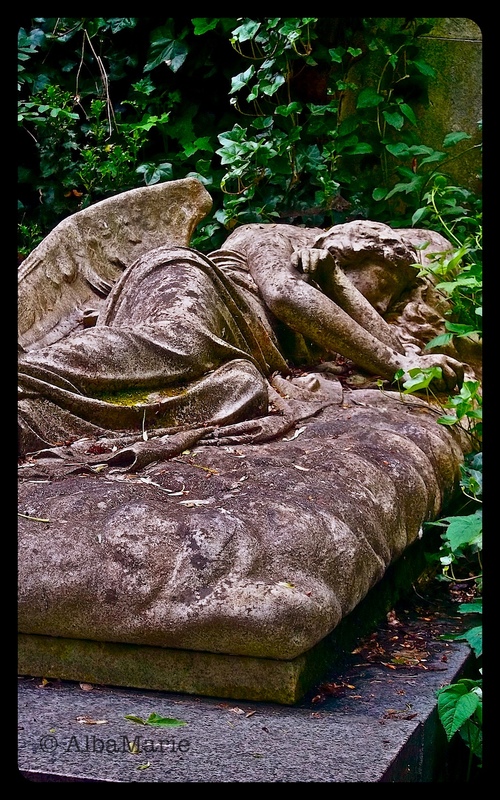 Angels and demons haunt the hidden, overgrown paths of London’s infamous Highgate Cemetery. Originally one of the “Magnificent Seven,” Highgate was among seven ‘modern’ cemeteries built during the early eighteen hundreds in the London outskirts in order to alleviate overcrowding in Central London. Unlike many cemeteries kept perfectly manicured, Highgate is a wild, savage place. There is no doubt that it is also elegant–one has only to look at the grand Egyptian Avenue or the beautiful Circle of Lebanon to comprehend its splendor–but here, nature is given free reign and seems determined to take back its dead. Trees and bushes crowd the grounds, grasses and flowers cover every inch of the graves, roots grip the tombs, paths are narrow and hidden. In fact, graves are so close to each other that they are practically tripping over each other. It is both a beautiful and creepy place. One does not have to try hard to conjure images of ghosts and demons–in fact, the place is known as a possible inspiration for Bram Stoker in writing Dracula, and in the mid 1900s, it inspired the legend of the ‘Highgate Vampire.’ Though long debunked, one certainly gets goosebumps and perhaps starts to reconsider the possibility of the supernatural while wandering the forlorn paths of Highgate. What trip to Oxford is complete without donning a straw hat, getting into a flat-bottomed boat and attempting to push yourself along by digging a long pole into the River Thames? It looks wonderfully picturesque and serene–but it is surprisingly harder than it looks. Oxford, as you probably know, is home to a collection of 30+ colleges forming Oxford University, one of the world’s most foremost institutions of higher learning. Amongst all that studying, those long nights in the library, hours spent in classes or listening to speeches by esteemed professors while wearing dress robes in a banquet hall (yes, this sounds a bit like Hogwarts but it’s all true! )–all of that takes extraordinary amounts of time and energy, so for a couple of centuries, students found that they could take the edge off by grabbing a few of their best friends, ditching their dress robes, and jumping into a punt. Sometimes when they were feeling especially daring, they held races and pushed each other into the water. While the ‘sport’ may pale in comparison to bungee jumping or windsurfing, you cannot deny that it is quintessentially English. And now, on your next trip to Oxford (or Cambridge for that matter) you can see what all the fuss is about too…just try not to fall in! Crossing the Thames and walking past the Houses of Parliament for the first time, you feel a shiver run down your spine as you finally come face-to-face with the most famous clock in the world. As Big Ben in all its glory rises above you, its clock faces grin down over the magnificent city of London. Just a hair over 150 years old, Big Ben has become one of London‘s – and England‘s – most important icons. As you stare at this tower you’ve seen in countless films, photos and paintings, you may wonder why it’s called “Big Ben” when the official name is the “Elizabeth Tower” (named like so as it was erected to celebrate the Diamond Jubilee of Elizabeth II). Apparently, the nickname’s origin is somewhat up in the air and a bit of a debate between historians. Perhaps it is because of Sir Benjamin Bell (the principle installer of the great bell)…others argue that it may be in regard to the boxing champ, Benjamin Caunt (though I’m not sure I see the likeness!? ), still others argue that it should refer only to the bell and not to the tower at all. At the end of the day, it doesn’t matter because as your eyes lock onto the golden sides of Big Ben’s strong tower, you still feel the shivers tingling up your spine as you stand in the shadow of so great a building. 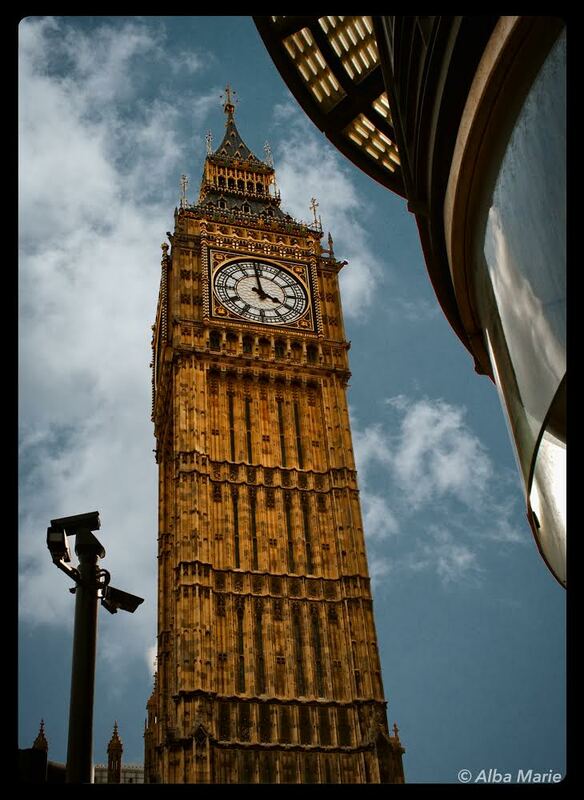 Just be mindful of that camera off to the side – London is the most surveilled city in the world, with one camera per every 11-14 people! Smile! The Avon. In Celtic, the word “avon” meant “river,” and as a result, there are quite a few “River Avons” in the UK. As this particular Avon (known as the “Bristol Avon” to differentiate) snakes southward through the English countryside, it finally arrives in Bath. Bath is famous not only for its Roman baths (hence the name), but also for once being home to Jane Austen (Bath must have made an impression on her as it appears in more than one of her much-loved novels). Bath is—how to put it?—posh. It is a city built on elegance, propriety, and beauty. Every one of its cobblestone streets are worn smooth and sparkling. The rows of houses that line the road—all made of Bath limestone—are stylish and elegant. 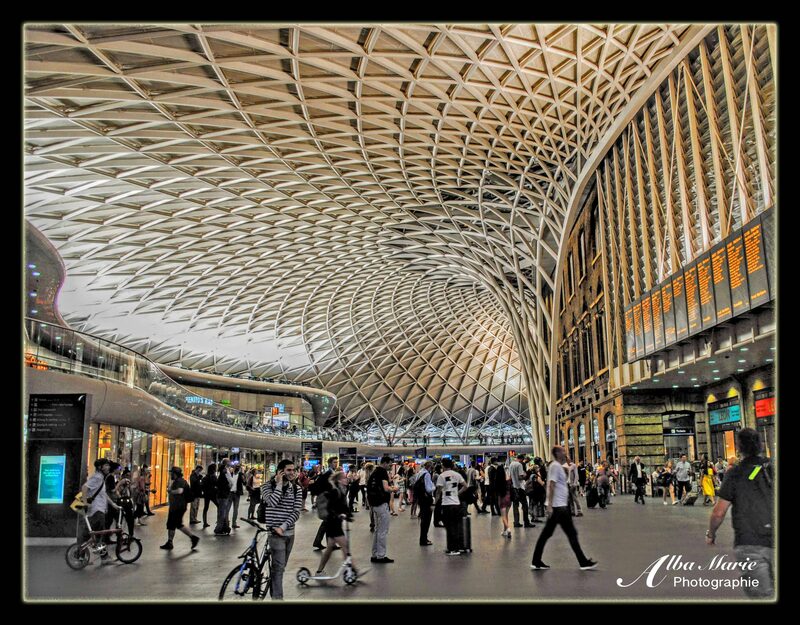 The centre, with its magnificent abbey, Roman baths, and meandering High Street, is breath taking. And then of course, there’s the fine, classy buildings comprising of the Circus (two semi-circular buildings surrounding a roundabout that sports a small collection of magnificent oaks), and just next door, the famed Royal Crescent, which is—if possible!—an even grander affair. Even when you leave the center—let’s say you decide to follow the river, or better yet, you take to the beautiful Kennet and Avon Canal—you cannot escape the majesty of the rolling hills, thatched cottages, arching bridges, and stone houses that make up the English countryside. Small though the Avon may be, it will be difficult to find a more grand, more picturesque or more beautiful English river. How many more icons can you get into the same little photo? Here, we’ve got a red telephone booth, the London Eye, the Thames, and the Golden Jubilee pedestrian suspension bridge (in the reflection). Just around the corner, you find the centre of London: Big Ben, Westminster Abbey, the Houses of Parliament, 10 Downing Street. Follow the river in the other direction and you’ll find Millennium Bridge, the Globe, the Tate, Borough Market, and eventually, the Tower and Tower Bridge as well as so many other places. 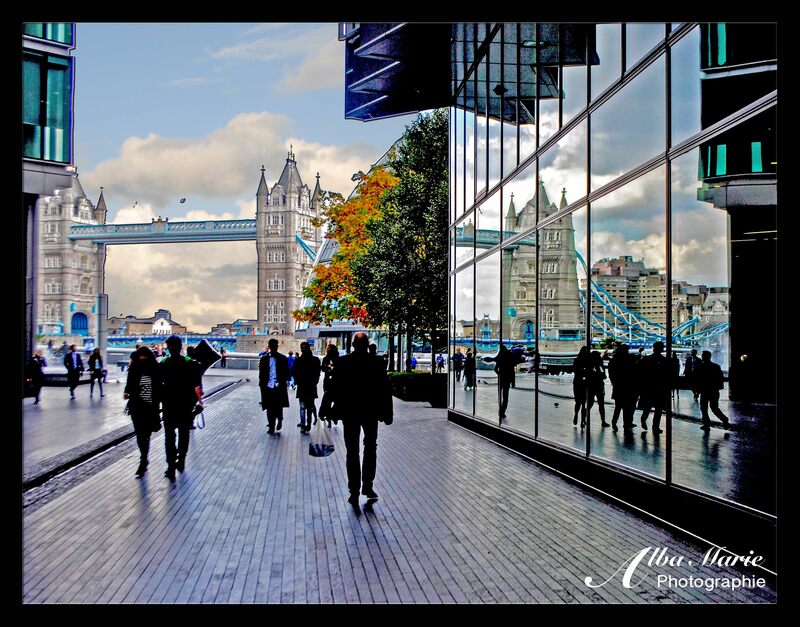 The River Thames really is the main artery of this great city! London is one of those places that has so many icons attached to it – leading some to say that London is “overrated” or even “boring” – but they would be terribly, horribly wrong. There is a Right Way and a Wrong Way to visit London: ie, if you stick to the “uber-tourist” itinerary, maybe you do find it “boring” and overly crowded; branch out and you’ll be surprised what gems you’ll find! 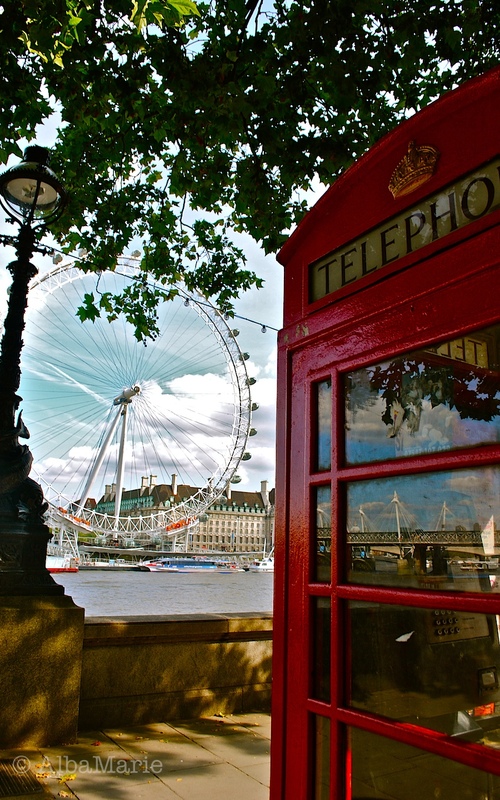 You can visit London time and time again – and every time, find something new. Don’t deny it; this city really is one of the greatest cities on Earth! Ah, London, the capital of the world—the UK. It’s hard to think of a more – well, wonderful – place on this continent (even if its not actually on the continent, something the Brits constantly remind everyone else of!). 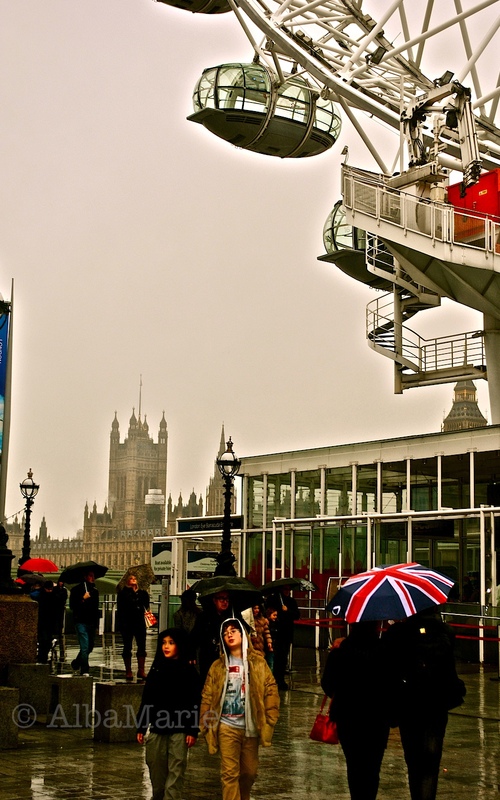 Yes, often grey, often a bit rainy—but doesn’t that just make it all the more—London? London wouldn’t be London without its fog and rain! (That said, a sunny day in London is like a dream come true). In central London, we find the iconic London Eye (in the top right corner), not far from the infamous Houses of Parliament, usually the first stop on any London itinerary. This city, while expensive enough to make you cry, has so much to offer—life, culture, a little bit of everything. Looking for quaint, crumbling buildings on cobblestone streets? We’ve got it. You want crazy fun nightlife? Find it here. Looking for artsy, funky, hole-in-the-wall bars and cafes? Got that too. High culture? It’s everywhere. Fancy tea-houses? But of course. Grungy, dodgy bars? Uh huh. Some of the best museums you’ll ever see? Take your pick! The chance to see a real-life royal family? Come to London! Great shopping (if you’re into high-end shopping…)? Always. Literature, theatre, opera, ballet…? It’s here. Picnics in the lovely Hyde Park? Unbeatable! A chance to taste cuisine from literally any corner of the world? Come to London! …Plus, who doesn’t love the Union Jack?! Enter your email address to follow this blog & see images of some of the most beautiful places you'll ever see! A pretty wise man once said... "Once a year"....[no, As often as possible,] "go someplace you’ve never been before." "Today is the tomorrow you dreamed about yesterday." So get out there and make the most of it!